One of the most important aspects of a health care system is the ability to transport patients who are either in need of urgent health care or require a higher level of care. This is even more important in rural and remote areas where access to a full range of health services can be limited. The Kenya Aid team had seen many examples of women turning up to hospital in wheelbarrows during labour, or unwell patients requiring surgery with no means of transport. 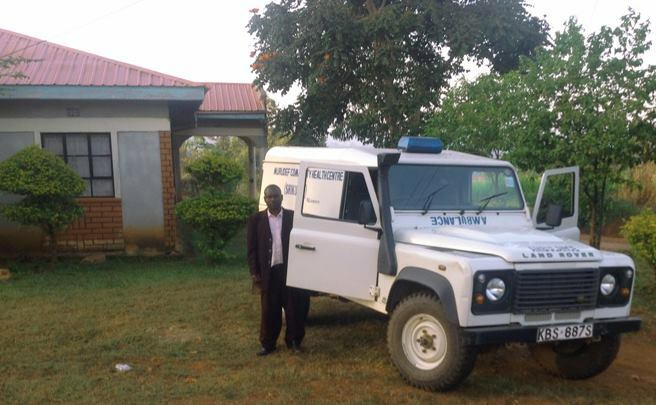 In 2012 we decided to do something about it and purchased an ambulance for the Shikunga Community Hospital. This ambulance is one of only five ambulances in the entire Western Province (population 4.1 million) and the only ambulance in Kakamega district (population 150,000). It is available for use by anyone in the province and is regularly commissioned by the government as part of their district-wide immunisation program.